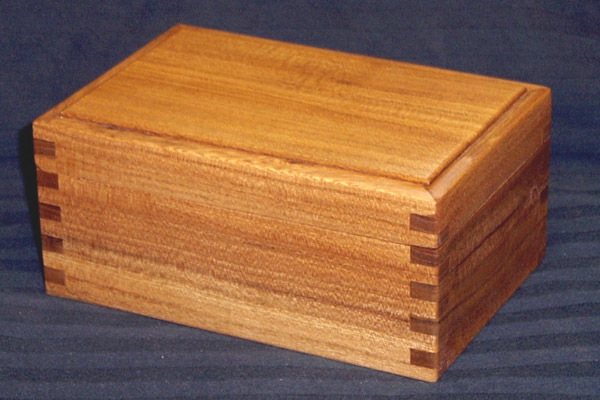 This box is made from Siberian Elm. 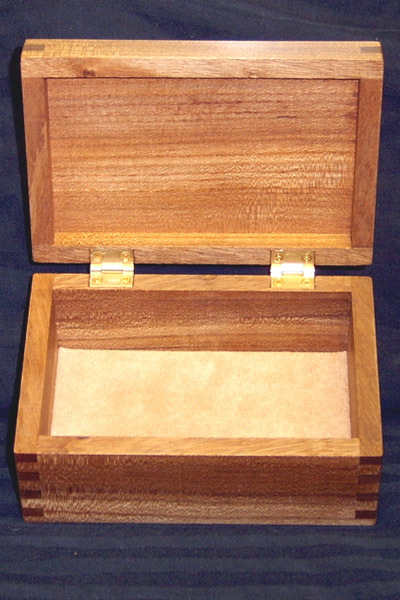 The dimensions are 6"x4"x2 1/2". 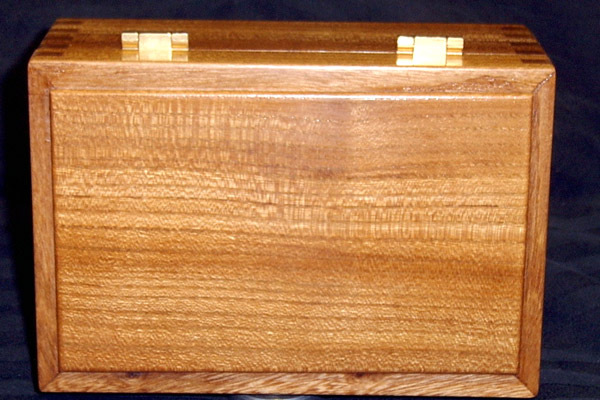 It is finished with multiple coats of drying oil wet sanded in, French polished with shellac, and buffed with a coat of Canuba wax. Hinges are made by Brusso and are self stopping at 95*. The liner is a synthetic suede and will not tarnish silver.